The next recommendation from the Great Movies – 100 Years of Film book for those who enjoyed the Adventures of Robin Hood is this pirate classic from 1942, filled with gorgeous colours, adventure on the high seas, plenty of sword fights, a likeable star in Tyrone Powers and a dastardly villain in George Sanders this one is mostly a winner. I say mostly, because the sexism in this film is really heavy-handed, downright unsettling. If one can push most of that to the side, the rest of the film is pretty enjoyable. 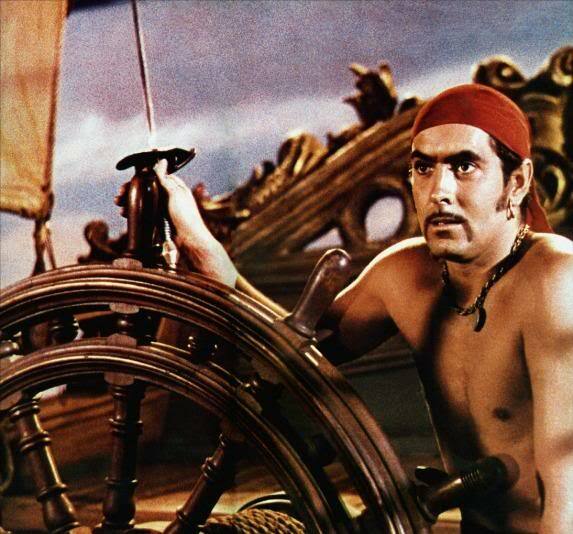 When Captain Henry Morgan (Laird Cregar) gives up his privateer ways to become the new governor of Jamaica, he extends to all his fellow pirates a chance to give up their ways and become part of a government and craft a new life for themselves. Captain Jamie Waring (Powers) joins him as his right-hand man along with a lot of his fellows, including Tommy Blue (Thomas Mitchell). Not everyone wants a part of this new life, and flock to Captain Billy Leech’s (Sanders) and first mate Wogan (an eye-patch wearing Anthony Quinn) cross and bones flag aboard the Black Swan. 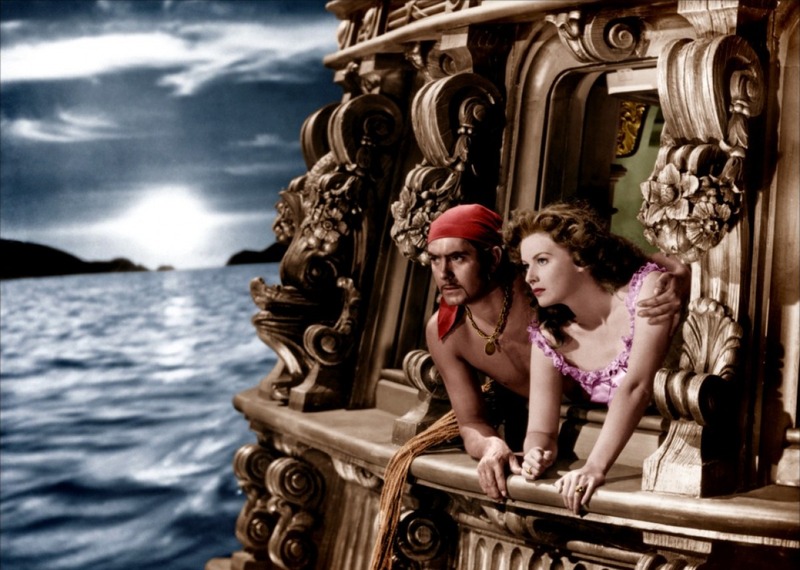 While Jamie is pursuing, rather too aggressively the daughter of the former governor, Lady Margaret Denby (Maureen O’Hara), with whom there is a quick to develop a ‘love/hate relationship,’ Leech starts to make trouble in the Caribbean and when everyone beseeches Morgan to do something about it, he turns to Jamie. Unfortunately, Leech has an informer in Jamaica who is keeping him abreast of plans and locations of the ships hunting him, and it leaves Morgan looking like he’s intentionally avoiding catching Leech. Lady Denby and Captain Waring find themselves aboard the Revenge hunting Leech down, and through some bluffing they convince Leech that they mean to join his crew…. But Leech isn’t so easily fooled, and stealing Margaret away, he leaves Jamie in dire straits, while the villainous captain leads one final attack on Morgan! Packed with escapes, romance, adventure, and oh, so many sword fights, not to mention some sparkling dialogue, this one totally works, EXCEPT for the ridiculous sexism and treatment of Lady Denby. Honestly, if her character had been given a little more to do, if Jamie hadn’t been so blatantly sexist in his role (I’m not going to argue about pirate behavior, the fact that he thought this attitude would woo her, and it does (only because it’s written that way) is just plain ridiculous, and more than a little offensive), this could have been even more fun.